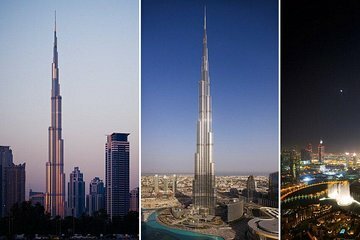 Burj Khalifa is not only Dubai’s highest viewpoint but the tallest building in the world, with three different observation decks to choose from. This ticket offers access to the 124th Floor, where you can enjoy stunning 360-degree views over the entire city of Dubai. Tickets include a guided introduction and multimedia presentation on the building, before riding the high-speed elevator up to the observatory.